I needed a sugar free Red Bull this morning and Tikigal needed gas in her urban assult vehicle. It just so happens there is a Big Lots right next door. 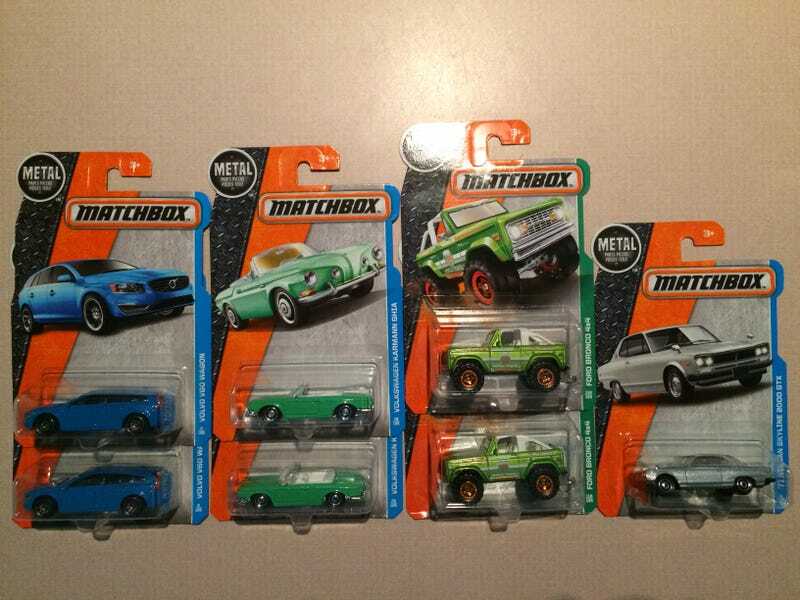 I should briefly explain that I have been looking for the MBX Volvo V60 and the VW Type 135 for quite awhile now. I always seem to be late to the party with these so finding multiples of each was a surprise. Then, on top of that, finding a Skyline and a couple of Broncos. Well I was tickled pink. BTW, I left several of all the models except the Skyline, which was the only one there.